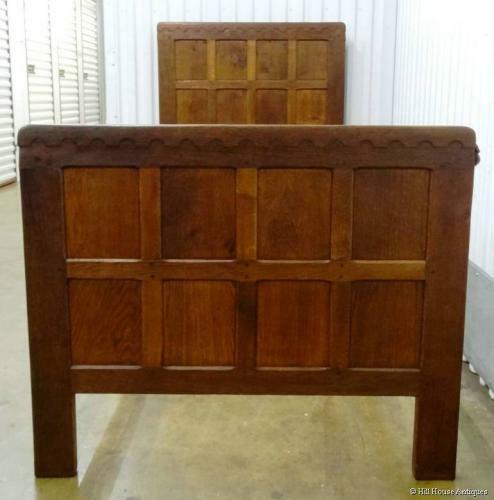 Superb early period, c1930`s adzed oak panelled single bed with "half penny" carving by Robert (Mouseman) Thompson; comprising head board, foot board (with carved signature mouse) and original side irons. Approx 6ft 3" by 3ft. Of excellent colour. Very good provenance.